Simply Shaunacey: Datevitation love coupons - GIVEAWAY and discount!!! Datevitation love coupons - GIVEAWAY and discount!!! No, I'm not advertising a dating site... though, that would be kind of funny - I somehow don't think Mr. B would approve. I was contacted by the kind folks at Datevitation to do a collaboration. I LOVE doing fun stuff like this so it wasn't a hard sell. PLUS, they not only offered me free product, they also offered a discount for you lovely readers AND a chance to win your own free stuff! SCORE! At this point, you're probably thinking: "okay, but what the heck is it? ", well let me tell you. It's love coupon books!! You know, the kind those crafty people create for their loved ones? The ones with super cute pictures, date ideas, offers of free services etc.? Ya those. You all know by now, I always think I'm much craftier than I actually am. Sooooo this is perfect. I can create my own book, personalize it (including hilarious pics) AND it literally took me 10 min. I'll give you some more deets before I share the hilarious-ness that is my coupon book for Mr. B. Books normally start at just $25 so it makes for a thoughtful yet economical gift. But as a special treat for my followers, you can use the code ‘FRUMPYMOMMY’ for $10 off your purchase plus free shipping (total value of $13.50) That means you can get your loved one a one-of-a-kind gift for Christmas starting at just $15! The order cut-off date for guaranteed delivery by Christmas isDecember 13 so make sure to get your order in before then! Maybe I'm so overtired I have started to lose it, but I seriously find this hilarious. I think it's the little heads on the stick people that I find abnormally entertaining. Let's examine this, shall we? Looks innocent enough from the front, but inside, hilarity ensues. I suppose I'm having a few 'after thoughts' here. I am confident that anyone that knows us knows that we don't need a coupon for a wine night. I suppose Mr. B can cash in if he's feeling like a cheese spread lol Or, perhaps this is just an excuse for an extra wine night. Or maybe we bust out the good wine (and by "bust out" I mean "buy" because we can't keep wine in the house long enough to build a stash. We've tried). Win an argument. HA. I'm not sure what I will actually do if Mr. B tries to cash this bad-boy in. It's a great idea, but it could seriously bite me in the a$$. I know, aren't I nice offering a massage? I'm sweet like that. I'll secretly hope I get one in return or first and then I'll fall asleep. Best wife EVER! You need to know that the default writing on the diaper coupon was "not changing a single diaper for a month" to which I thought "um, ya, no" so I used the trusty personalize option. Needless to say, I liked the personalize option (and it's free). I had to throw in a make-out related one but really, Mr. B loves the drive-in and we haven't been in ages. I do fall asleep though. Every. Single. Time. In case you're wondering, there's a whole 'adult only' section of the site. It's worth a perusal just for the stick-figure pictures. I kept my book PG, cause well ya know the internet and all. No need to have my little head plastered on inappropriate stick-figure pictures. Though, I may or may not have checked out said pictures to see what my little head would look like on them. Funny stuff people, funny stuff. I kind of loved this! It was fun, cute, and I like that there's options to make them for kids and parents too! Creative, easy, personalized and affordable. An all-around awesome gift idea for the un-crafty like myself! Perfect for stocking stuffers too! 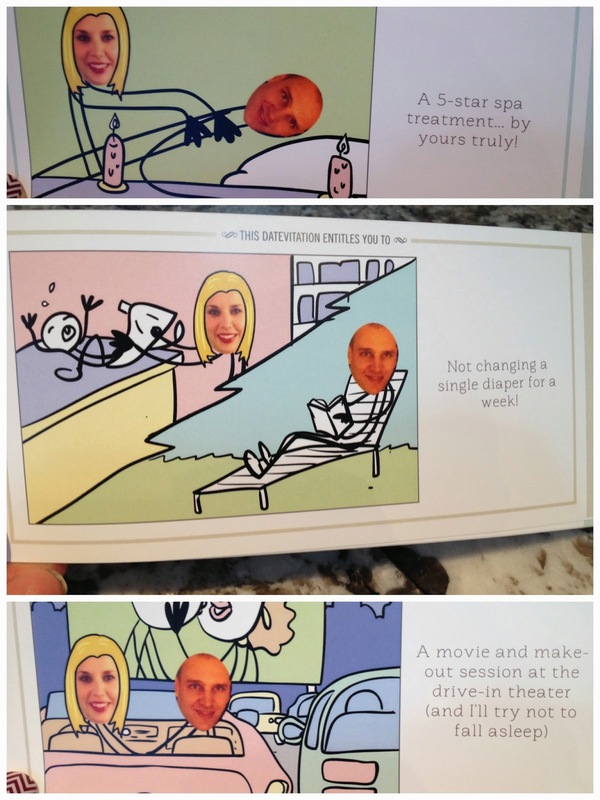 NOW here's your chance to win a FREE custom love coupon book from www.datevitation.com!!! Ha! You have such fun giveaways. I'm jealous. I don't know how I get so lucky! This is awesome! 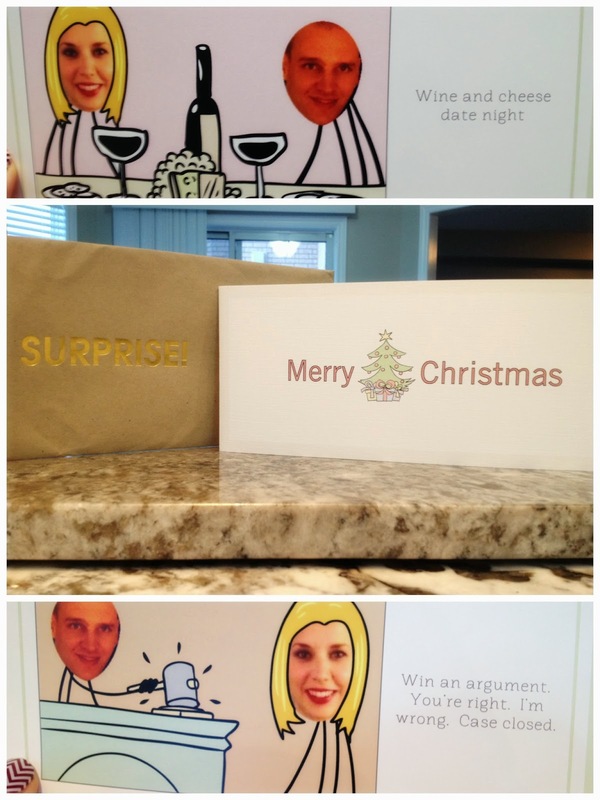 I'm definitely doing this for my hubby for Christmas - he will think it's hysterical! Great post too - thanks so much for sharing. Now, off to check out those internet-inappropriate stick figures :)! These are super cute! What a great idea! I love the dance lessons cover! Thanks for hosting this fun giveaway! I've never heard of these! Too funny! Checking their website, I think he would like the "No Phone" one and I would like the cooking class.